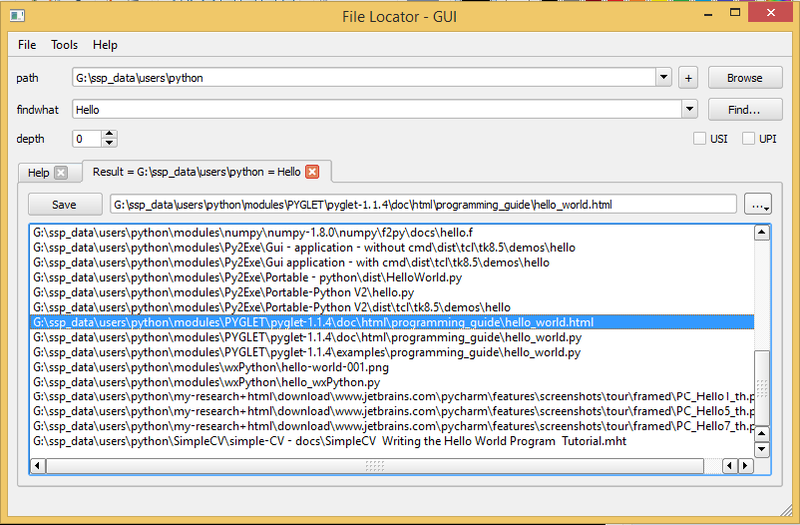 #1. fileLocator console application, for those who love command line applications. 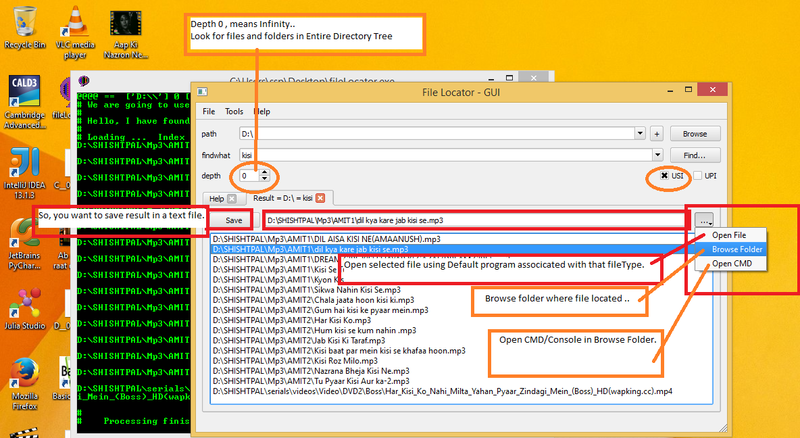 #2. fileLocator-GUI application, that is very easy to use and another advantage of this application is that, This is a Portable application, means you can just download and put it anywhere and use it, No need to download and Install and install other dependencies. This will work just fine even if you use this on any computer from USB drive/Memory card. # In this application I have made two new changes, if you made use them properly then you can think that it has amazing speed. # first you should use Disk Index file and by default I have turned off this option, Because you better know that when you should use this option. 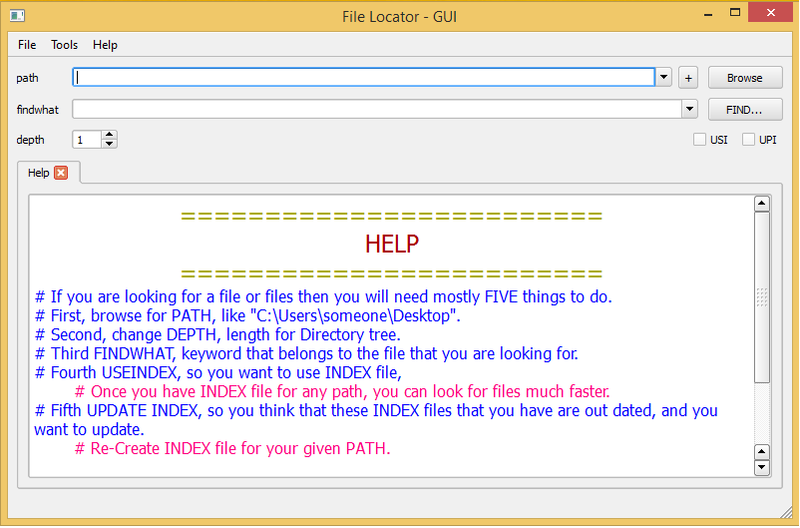 # If you are going to use Disk Index file for your defined path then You should keep one thing in mind, that when you think that disk index files are old or Out-dated than you should update disk index file. 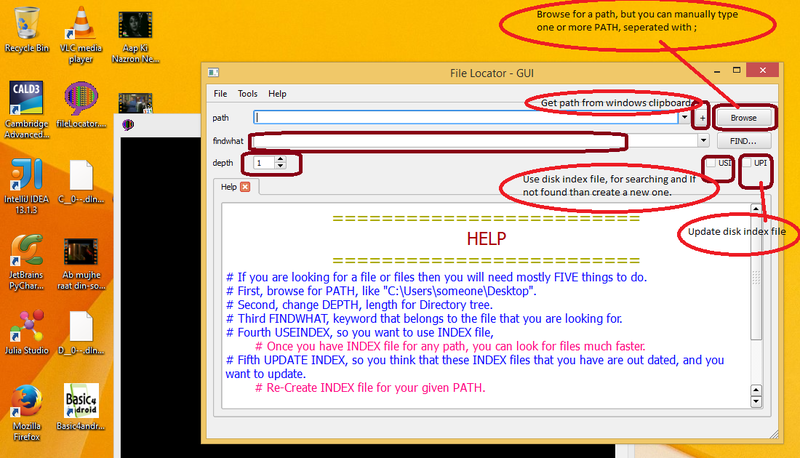 # Other thing is define depth for Directory tree carefully because 0 means Infinite depth for Directory tree, and This will take more time if you use a particular depth other than ZERO but In case if you are Using Disk Index file, than this will take few seconds to look for files and folders even if you are using a 2TB HARD DRIVE Index file.